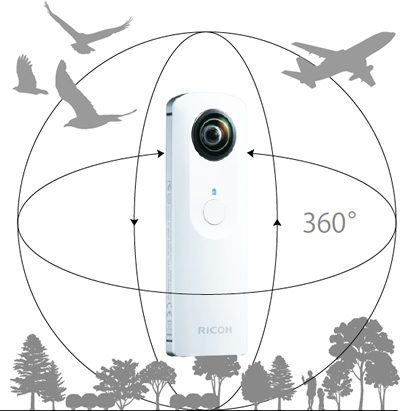 See the world around you in a whole new way with RICOH THETA. 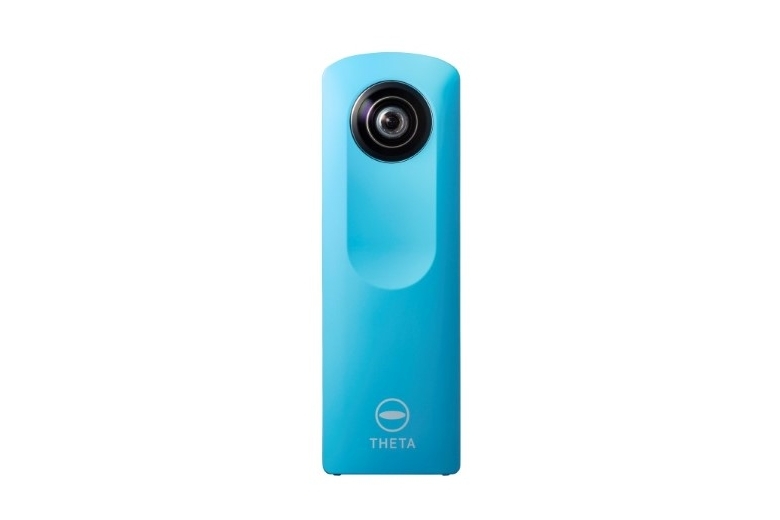 The THETA m15 lets you capture spherical videos up to 5 minutes in length. It also enables WiFi transfer that's almost twice as fast as the previous model. 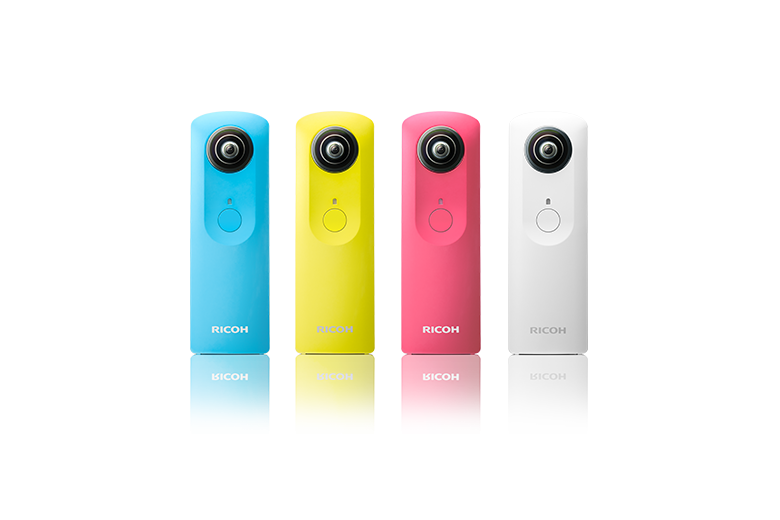 See your photography in a new dimension, with the small, lightweight and easy-to-carry RICOH THETA. 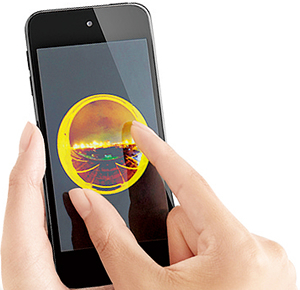 Capture your complete surroundings with the simple press of the shutter button. 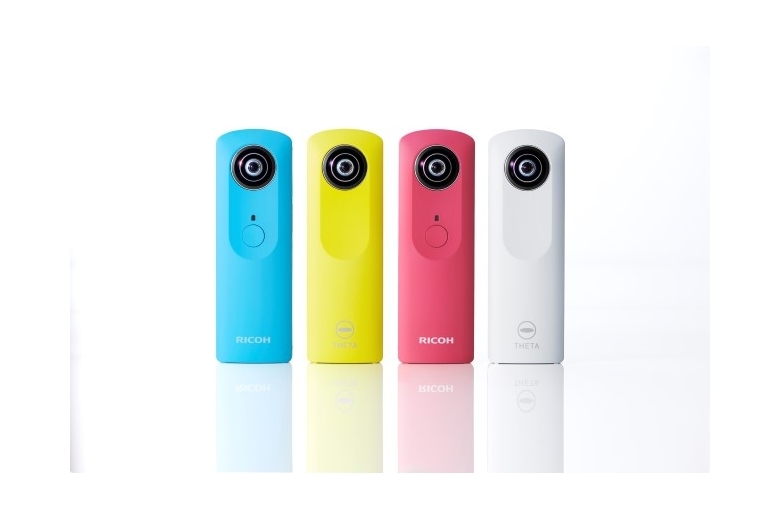 RICOH THETA will automatically adjust the image orientation so that you don’t have to worry about how you’re holding the camera. You can simply take pictures at the precise moment you choose. 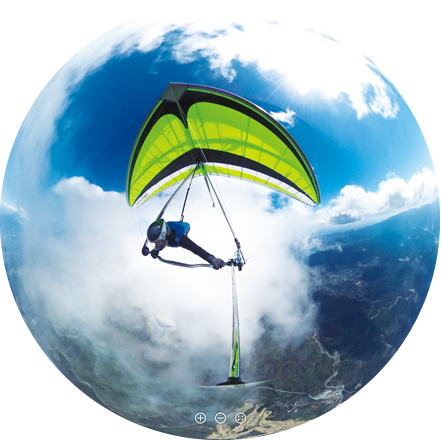 You can now capture spherical videos up to 5 minutes in length. After capturing your video, you can process the video with the video creation tool in the app. The image size, shape and composition can be changed using simple fingertip operations. 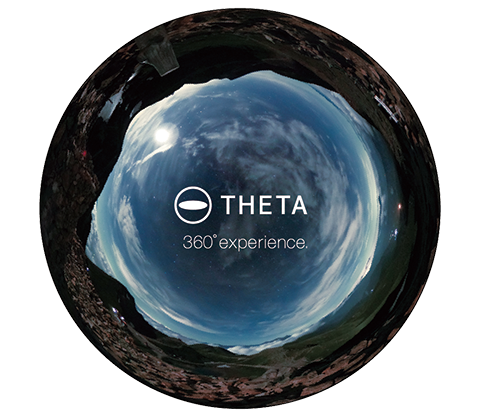 Videos can be uploaded to the theta360.com dedicated website, and can also be shared on social media sites such as Facebook, Twitter and Tumblr. (Up to 5MB). Share your spherical images easily by posting to Facebook, Twitter and Tumblr directly from the iPhone® app, or the Android® app. 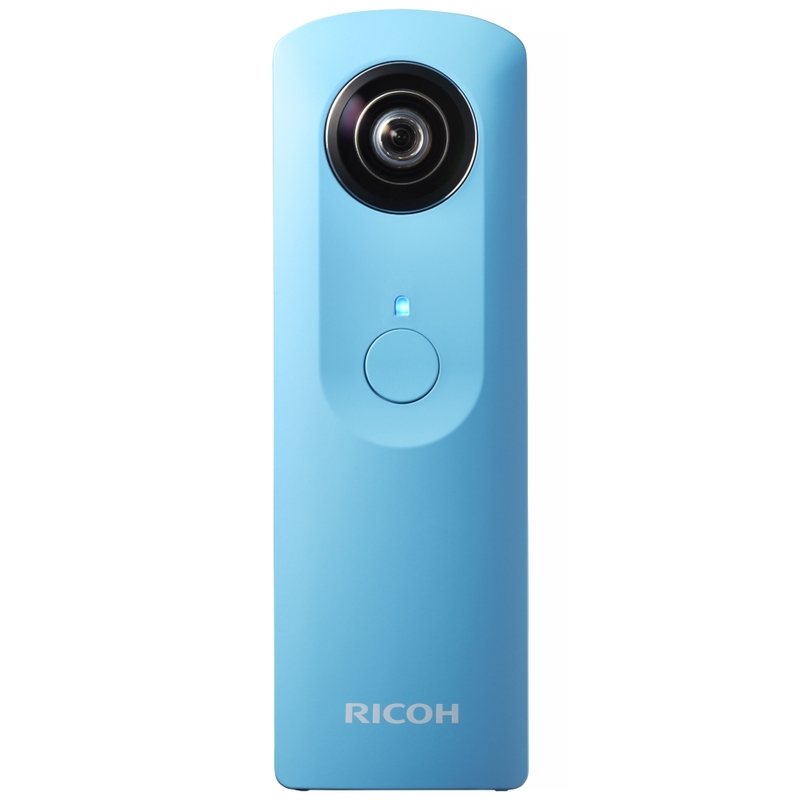 If you don’t have RICOH THETA for iPhone® or Android®, use the URL of the posted image to enjoy the spherical image on a smartphone or computer. Enjoy increased communication speed, too. 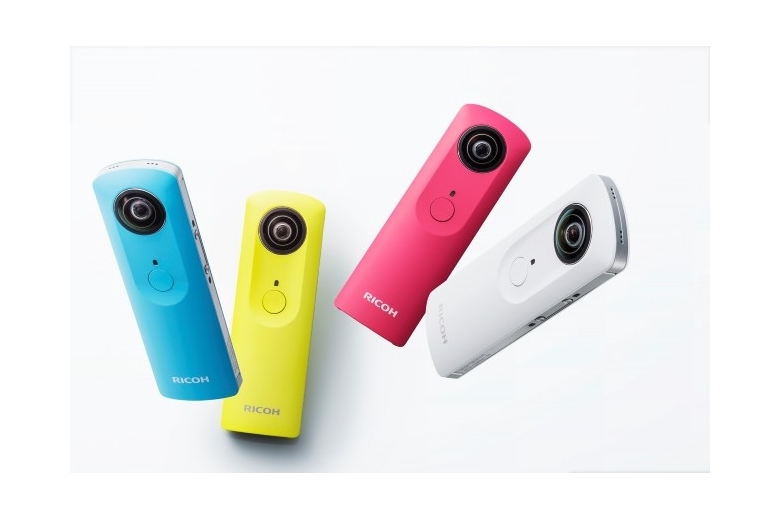 Wi-Fi transfer speeds have been increased by a maximum of 2 times with the new RICOH THEA. You can enjoy smooth and serial shooting image transmission. Video (total recording time): Approx. 40 minutes – Temperature override. Operating (Humidity) Range: 90% or less. required to make settings changes). Shutter Speed: Still image: 1/8000 sec. to 1/7.5 sec. Video: 1/8000 sec. to 1/15 sec.